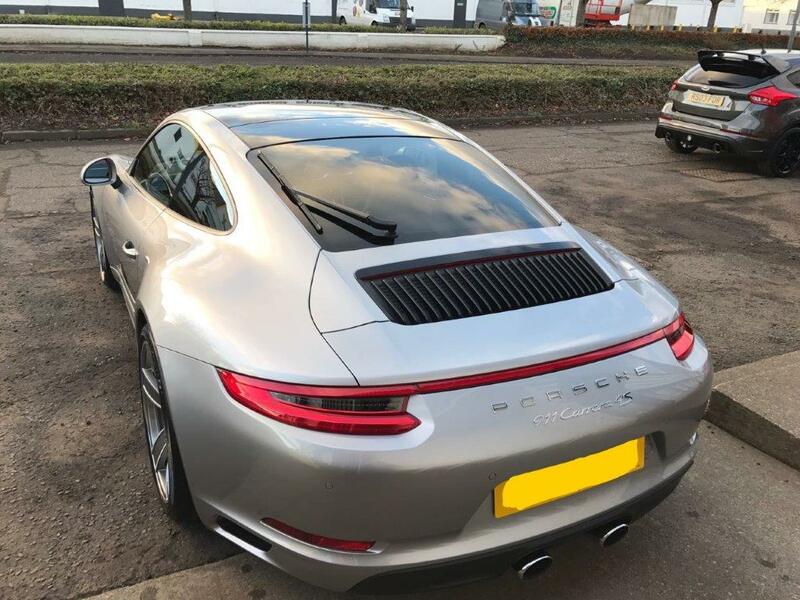 Having taken on board a huge amount of information and advice from this website I thought it was appropriate that I would share my own experience of buying and specifying a new 991.2 C4S. It's been a pretty drawn out process having been told my dealer in late May that I 'might' get a build slot in time for a 2016 delivery and so I paid my deposit and thankfully they came through with an early October build with delivery to the dealership in mid-November. First thing I would say is around the wheels which the configurator does not do justice at all. They make the car for me and they are so easy to clean into the bargain. I pontificated over the wheel choice for a while but I'm so glad I chose these ones. I wanted the black elements of the PDLS, the roof, the rear engine cover, side mirror lower edges and the front intakes to off-set the GT Silver and I think that works pretty well (of course I'm biased). Unfortunately I don't have any interior shots but the silver deviated stitching really helps to lift the black interior. 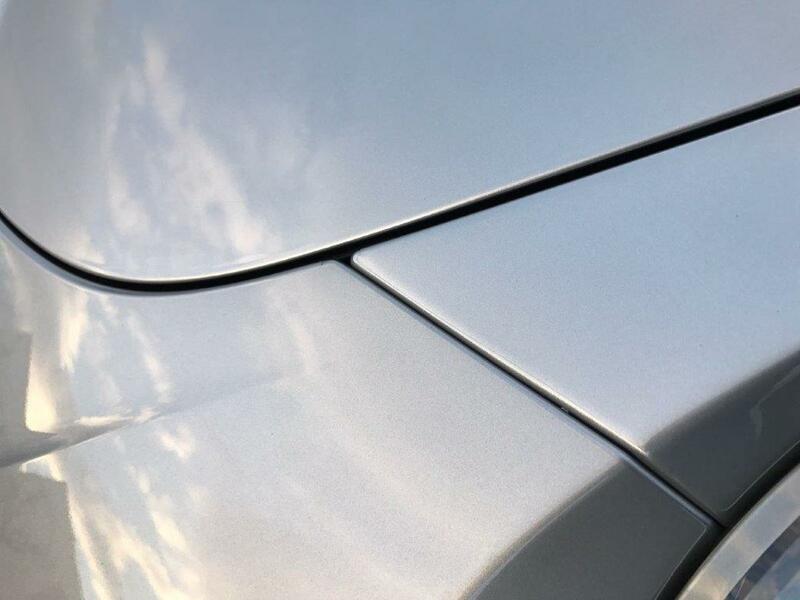 He also included an extra piece on the rear gloss black section of the roof behind the sunroof given that it scratches really easily. 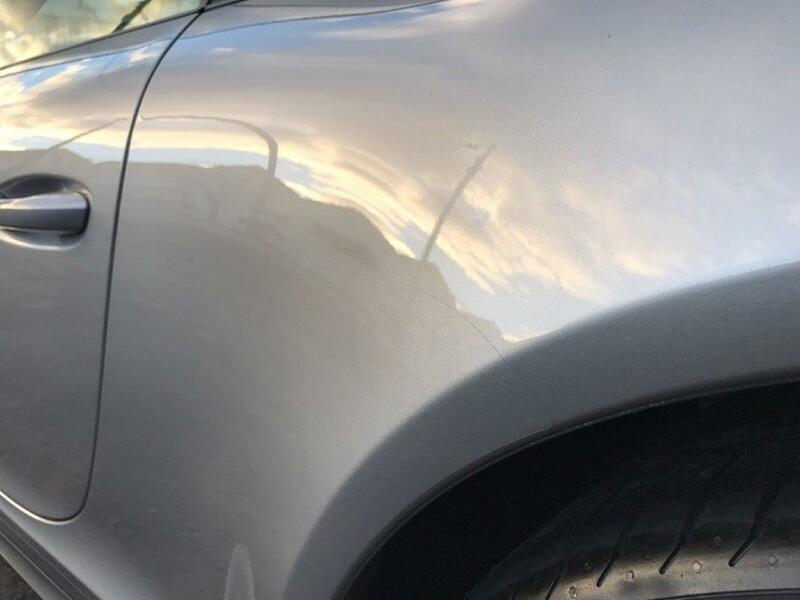 The remaining exposed areas of the car were coated with Gtechniq Crystal Lacquer (C1) and then all areas were further coated with Gtechniq Exo. The wheels were coated inside and out with Gtechniq Wheel Armour (C5) and then a coat of Exo. Gtechniq Clear Vision (G1) was applied to all the windows including 3 coats on the windscreen. The interior was protected with Gtechniq Leather Guard (L1) and Gtechniq Fabric Guard (I1). Some may think this is a bit OTT but I see it as a worthy investment and it makes maintaining the cleanliness of the car so much easier. In terms of the driving experience, for me the 991.2 rides better than the previous generation although I can't quite fathom why that would be. Road noise can still be an issue on UK surfaces but it's tolerable. Standard set-up is quite enough for me personally. Even with PSE the noise is more subdued, it sounds great on start-up but my own feeling is that once you're underway it's much less intimidating than my 991.1. I was luke warm on the look of the twin exhausts when the car was launched but they've really grown on my and I think they look much better than non-PSE cars. The new steering wheel is also a huge improvement as is the PCM, the PDLS I found really in my area particularly on dark wintery nights. Only issues so far have been an over anxious front parking sensor and a small screech, from a belt I guess, on start-up when it's been really damp. Otherwise it's a stunning car and you can't help but drive it with a permanent grin on your face. Looks great. I see what you mean about the wheels, good choice, they really work well with the gt silver. Looking forward to hearing how it compares with your previous Gen 1 car. 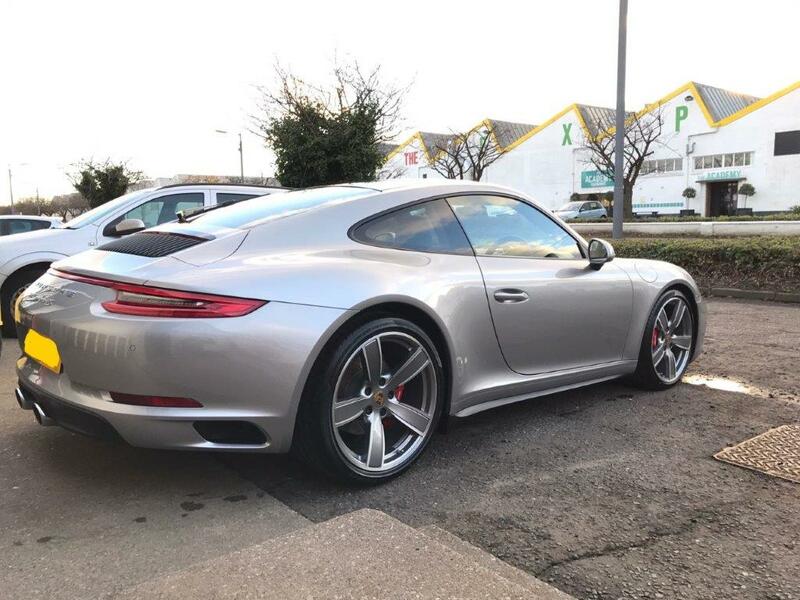 Hi fouress Congratulations on the 991.2 C4S My 991.2 C4S arrived late October I do agree with you on the alloys, although I may be biased having the same alloys. The dealership mentioned mine was the first 991.2 they had taken delivery on with the none blacked out versions. I too also had the Xpel Ultimate stone chip film applied straight after handover. On my previous car I just had the front wings, full bonnet, sills, mirrors and full bumper. 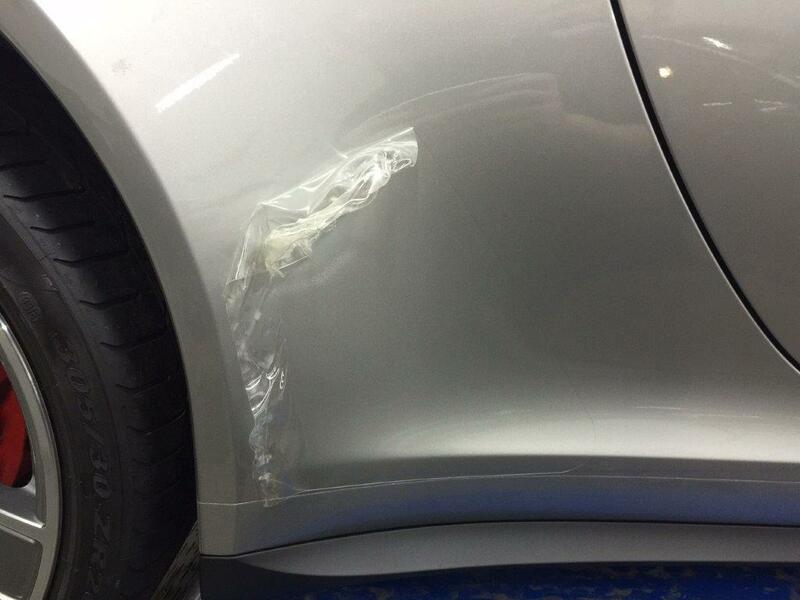 On the 991.2 C4S I decided to have the car fully covered, plus the detailer also covered the door sills and surrounding area which was a nice touch. I read that your detailer also covered the lower side skirts, I did ask these do be done also but I was informed that the film can not extend over the textured paint area as the film will not adhere properly to the uneven surface. I also asked for the headlights to be covered however after reading and of problems I asked not for the lights to be covered (I later found out from the detailer that Xpel also do not recommend this treatment). 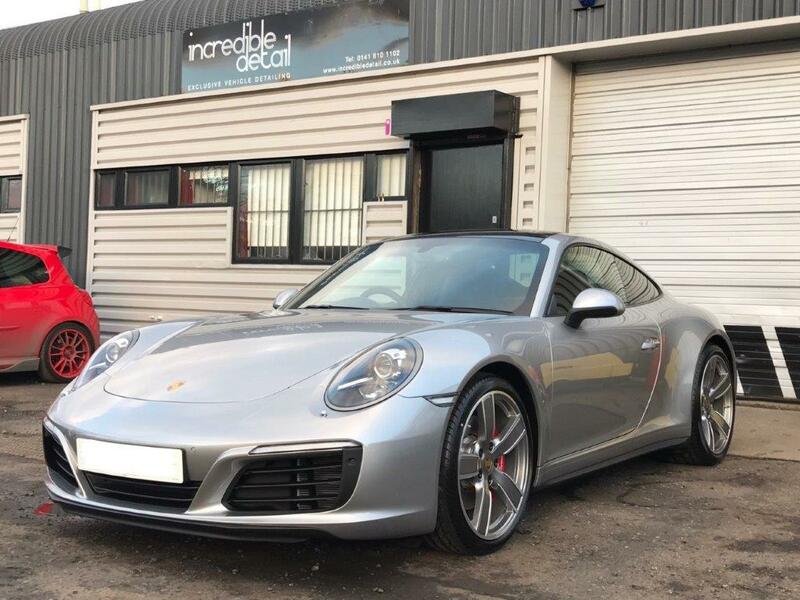 Current: 911.2 4S, Sapphire Blue Metallic, Graphite Blue leather interior, Manual transmission, Rear-axle steering, Sport Suspension, Sport exhaust, 18 way Sport Plus seats, Sport Chrono Package, BOSE® Surround Sound-System + other goodies! Amazing car and those wheels finish it off very well indeed. Posted: Sat Jan 07, 2017 11:02 am Post subject: Build. Agonising is not enough to describe configuring! I know exactly what you went through. it's almost feels its bordering a shot in the dark, an expensive one too. You seem very happy and I can see why, it looks great and that is all that matters in my opinion. I think the headlights are perfect on your car, they are in sync with the wheels, IMHO. I am having a stock white finish and standard wheels in Black gloss, so the PDLS lights and wheels in black should compliment the Glass roof, plus having the designation in black too. I think it will look great too. 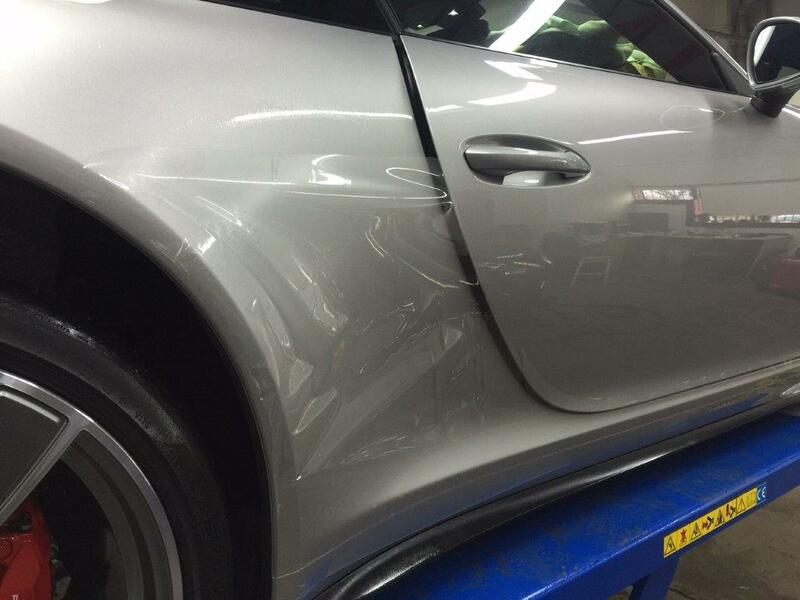 A friend at another dealer was so pro the colour you chose, stated he thought is was the classic choice for the 911. Maybe, but it's my car and dosh and I'm happy. I might have changed my mind if he had offered to chip in, but he never did, so it's my choice. We shall see when delivered soon. Thanks for all they comments. I suppose that's the good thing about the configurator, there is something to keep everyone happy even if Porsche charge like the light brigade for the privilege! Sorry Lasrblueexige, I didn't take any interior shots I'm afraid. You can't see the deviated stitching option on the web configurator, you'll need to see your dealer for this. I'd recommend it if you are looking to break up the black interior, I couldn't bring myself to go for something other than black and that's why I invested in the deviated stitching. Posted: Mon Jan 09, 2017 11:46 am Post subject: Cost? So, what was the cost of the DS?